Black and silver are the colors that have the greatest universal fit. No matter what background you want to equip with a light, these two colors always look good. The manufacturer Astro Lighting has taken this fact to heart and has many of his lights with black or silver painted finish on. The Soprano wall sconce is one of these lights to do so. Their modern, rounded appearance gives it a soft feel and offers a nice contrast to the often sharp edges of the houses or nature. 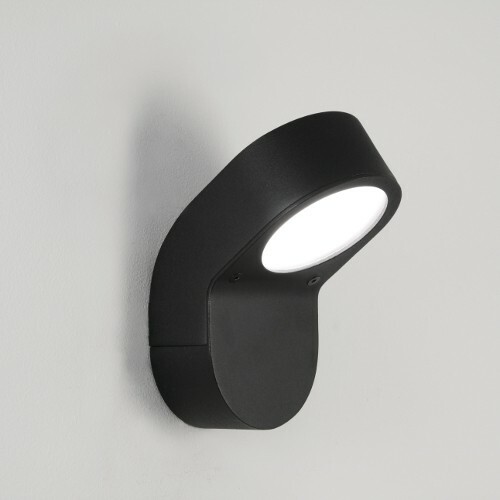 Astro Lighting proves to simple manner how beautiful a luminaire can be - with the Soprano wall lamp!